Our commercial gutter clearing team safely remove moss, leaves and other debris that may be causing a blockage in your buildings gutters. Damage caused to your brickwork by overflowing gutters can be costly. Even if you are renting a building it may be your responsibility to get it repaired. We aim to provide the most cost effective gutter clearing solution for your business, delivered on time and on budget. In most cases we can clear blockages from ground level, but for difficult heights we are fully licenced to operate scissor lifts and cherry pickers. Removes all leaves, moss and debris causing blockages. Prevents the damage to fascia boards and cladding. Reduces gutters and pipes pulling away from brickwork. Saves your company money on costly repairs. We take health and safety very seriously and complete full H&S packs including risk assessments where necessary. If you have noticed the exterior of your gutter pipes need cleaning we offer a complete gutter clean as part of our commercial cladding cleaning service, find out more here. 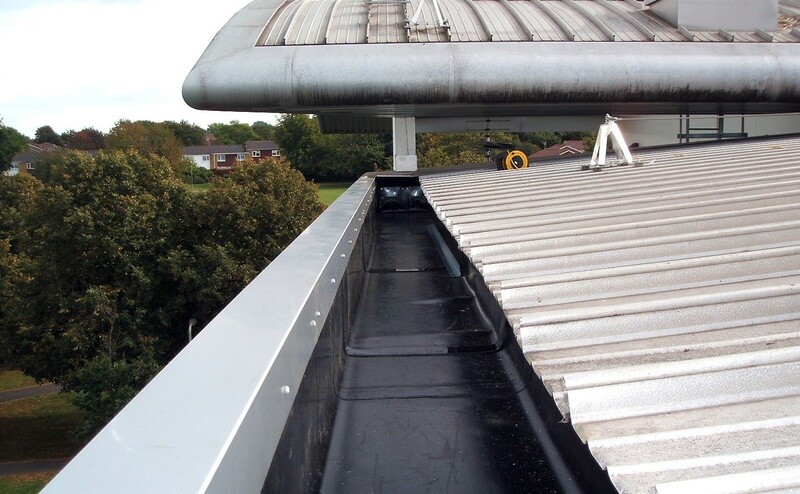 To find out more or for your free commercial gutter cleaning quote please contact us or visit our FAQ page for further details.